Introduction to Aircraft Aeroelasticity and Loads, Second Edition is an updated new edition offering comprehensive coverage of the main principles of aircraft aeroelasticity and loads. For ease of reference, the book is divided into three parts and begins by reviewing the underlying disciplines of vibrations, aerodynamics, loads and control, and then goes on to describe simplified models to illustrate aeroelastic behaviour and aircraft response and loads for the flexible aircraft before introducing some more advanced methodologies. Finally, it explains how industrial certification requirements for aeroelasticity and loads may be met and relates these to the earlier theoretical approaches used. 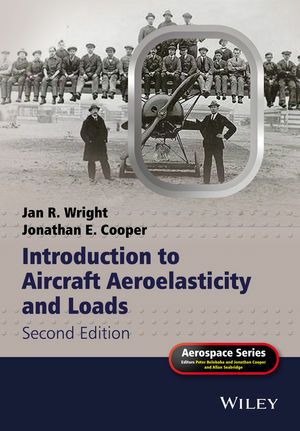 Introduction to Aircraft Aeroelasticity and Loads, Second Edition is a must-have reference for researchers and practitioners working in the aeroelasticity and loads fields, and is also an excellent textbook for senior undergraduate and graduate students in aerospace engineering.